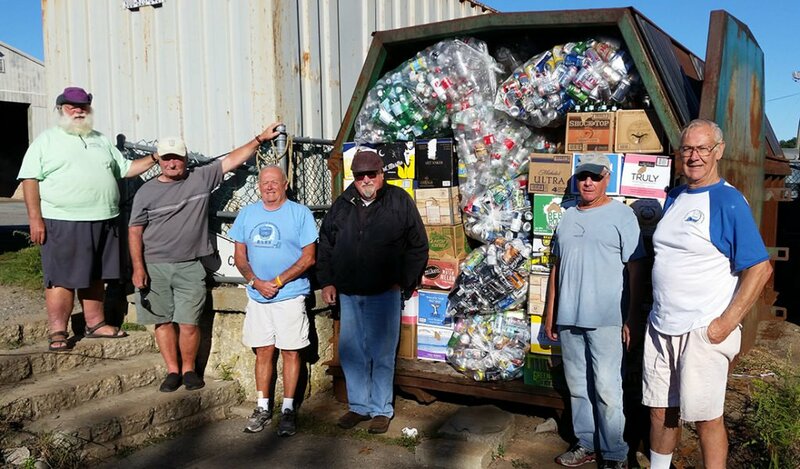 BARS will be manning the recyclable bottles and cans shed at the Barnstable Transfer Station for the month of July, 2017, and will be there every day except July 4th. We are looking for volunteers to fill morning and afternoon slots. Morning sessions are from 7:30 am to 12:00 pm. Afternoon slots are from 12:00 pm to 3:30 pm. Every Monday at 8:00 am bottles and cans are picked up, and we need 8-10 people to help unload the container and load the truck. Any time you have to help will be greatly appreciated. The recycling is the biggest fund raiser for BARS, and although it will not be the same without Ron Glantz, he will be there in spirit. Betty Haviland is in charge of signing up volunteers. Please email Betty with your availability or call her at (508) 320-5047. Below are the rules that BARS members must follow while volunteering at the Barnstable Recycling Center. You may also print/download a complete list of the rules. The Barnstable Transfer Station is open 7 days a week, 7:30 am to 3:30 pm. Volunteers must be present at the drop off building at all times the Transfer Station is open. Participants of this program are responsible for making their own signs to let residents know who the collection is for. Do not put holes in our shed for any reason. All other containers are off limits. Please stay out of the book and battery sheds. Do not pick glass or cans out of our recycling containers. Please refer any residents with questions to employees of the Transfer Station. Organizations are responsible for closing the redemption shed at the end of every day. Please leave the collection area clean and tidy for our attendants. Please empty 5 gallon drain bucket by fence, not near shed. We are a one way facility and entering the facility through the exit is strictly prohibited. Please park in the designated area only. Children under 13 years old are not allowed to work the redemption area at any time. Children 13-17 years old must be supervised at all times. Animals are not allowed in the redemption area at any time.